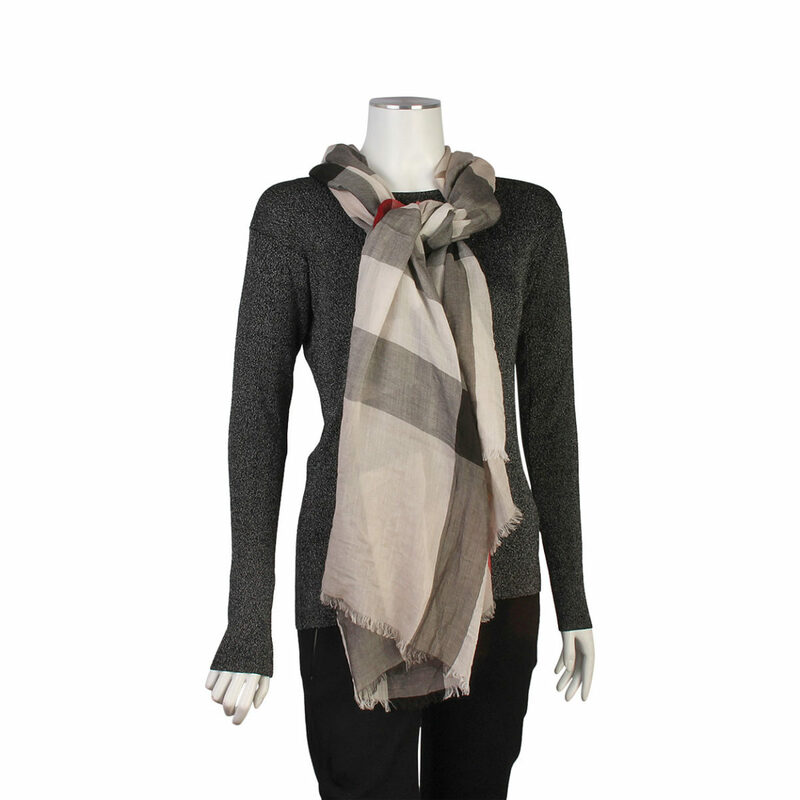 The classic features and superior quality of this Burberry scarf create a timeless look of sophistication for everyday. 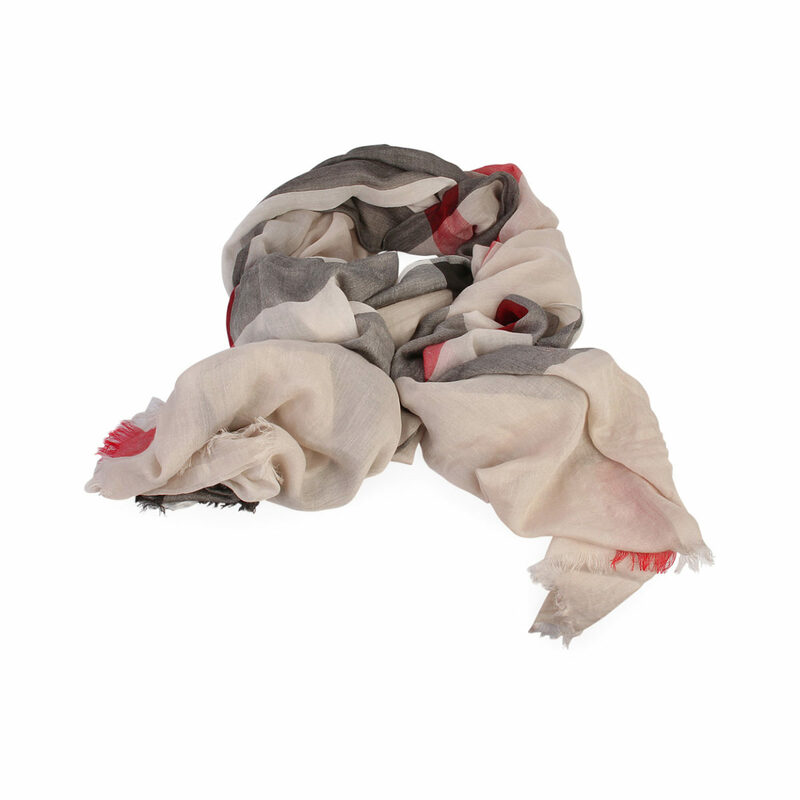 Wear this scarf for comfort, for style and for the special touch of tradition and innovation from Burberry. 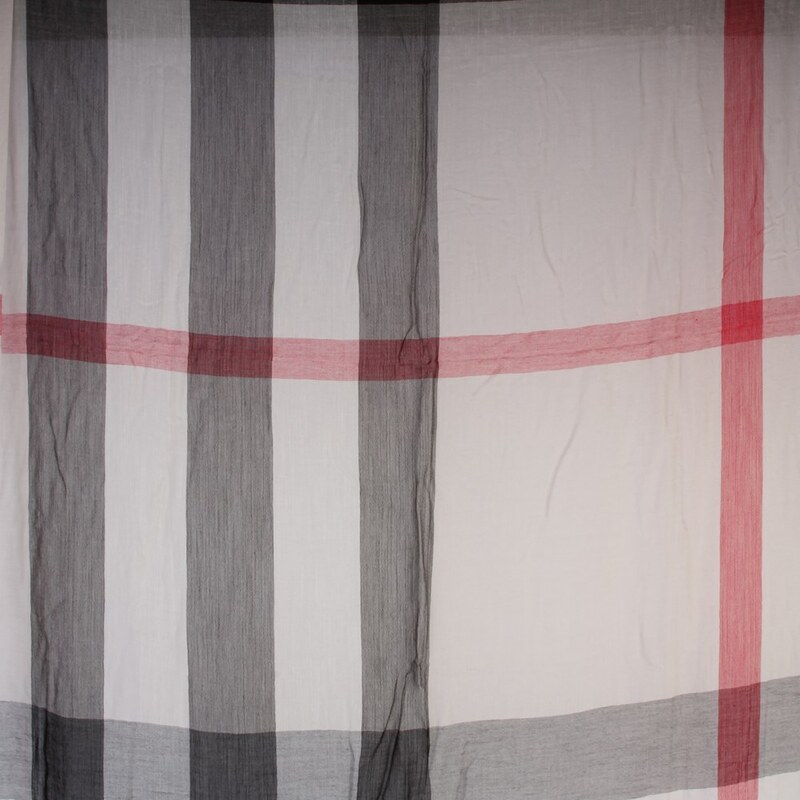 SUPPLIED WITH: This item is supplied with its original Burberry box. MEASUREMENTS: (Length) 198 cm x (Width) 93 cm. LUXITY (PTY) is not affiliated in any way whatsoever with Burberry. We do, however, guarantee this Burberry item to be authentic. All our items are sold with our authenticity guarantee. Burberry® is a registered trademark of Burberry.